Technology for managing the synchronous movement of platoons, i.e. groups of automobiles or trucks, including following a lead vehicle, keeping right distance, breaking at the same time, and splitting and merging. 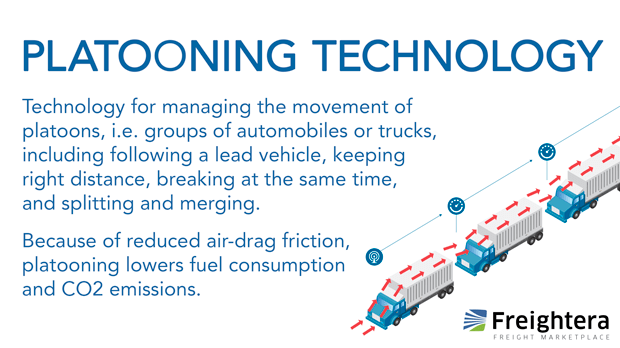 Because of reduced air-drag friction, platooning lowers fuel consumption and CO2 emissions.